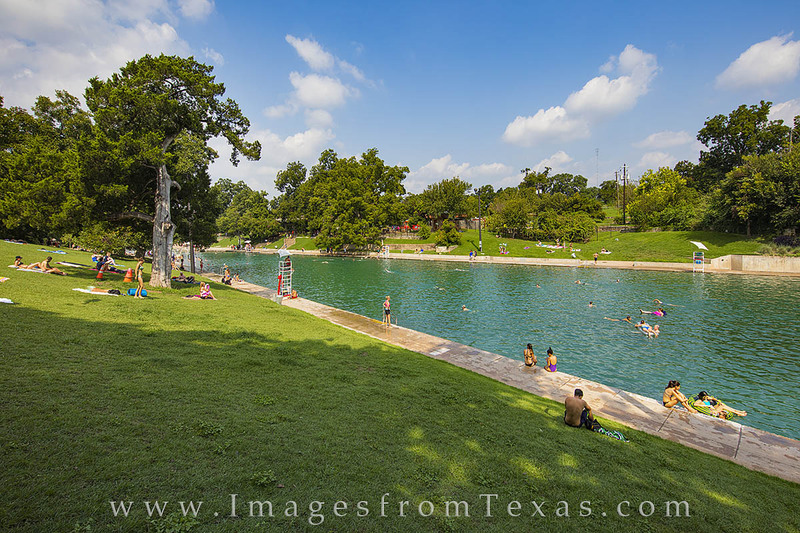 Shady patches help Austinites stay cool around the cold, spring-fed waters of Barton Springs. Taken on a hot late August afternoon, this photograph shows locals enjoying one of Austin's favorite locales to cool off on a hot summer day. Photo © copyright by Rob Greebon.